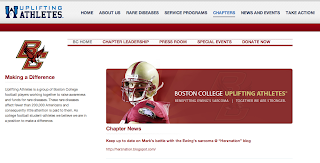 Uplifting Athletes is getting some great press coverage. Any press is good press, but good press is great press. We’re glad we can help Uplifting Athletes continue to make a difference. ← 4-H National Science Experiment – Biofuel Blast: Get your results in!